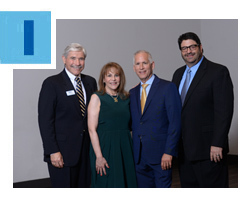 Amy N. Dean was elected Board Chair and Jeffrey Scheck General Campaign Chair this week at the Greater Miami Jewish Federation’s 78th Annual Meeting. Robert G. Berrin was honored for his long-time service to Miami’s Jewish community as Board Chair and past Campaign Chair. Young Leadership awards were presented to Matthew L. Adler, Sara Bejar, Amir Gold, Arnaud Karsenti and Shoshanna Wagner. The Annual Meeting was chaired by Steven J. Brodie and Isaac K. Fisher. Dean and Scheck will assume their new roles on July 1. Pictured at left: Federation President and CEO Jacob Solomon, Amy N. Dean, Robert G. Berrin and Jeffrey Scheck. 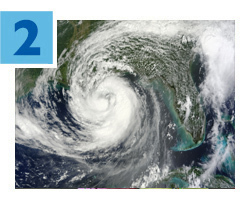 Hurricane season is here, and Federation’s Jewish Volunteer Center is seeking compassionate, helpful people to join the 2016 Jewish Volunteer Emergency Response Team (JVERT) and assist our community in case of a disaster. Whether you own a truck, are handy with a saw, are good at organizing others, or have other important skills or resources, all volunteers with a “can-do” attitude are invited! Click here to learn more and register for JVERT by July 1. For further information, call 786.866.8680. 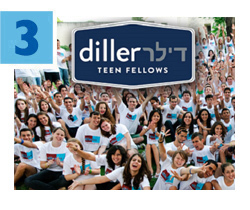 The Diller Teen Fellows, an international, immersive leadership program, is seeking Jewish teens entering 10th and 11th grades from Miami-Dade County to join its 2016-2017 cohort. Diller is operated in Miami by the Center for the Advancement of Jewish Education (CAJE), a subsidiary agency of Federation. Twenty selected applicants will participate in a 15-month pluralistic, informal Jewish educational program with Sunday workshops; thought-provoking weekend retreats; a three-week seminar in Israel; and a 10-day peer exchange in North America with our partner group from Yerucham, Israel. Applications (available here) are due June 14. For more information, contact Carly Orshan at carlyorshan@caje-miami.org or 305.576.4030, ext. 147. 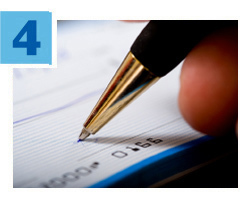 Many community-minded companies match their employees’ donations to social-service organizations like the Greater Miami Jewish Federation. While most programs match contributions dollar for dollar, some will even double or triple the amount of the gift! Learn more about the many benefits of matching-gift donations by clicking here, then check with your employer’s website or Human Resources Department to get started. 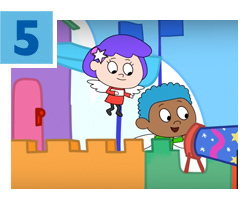 Now there’s a great, new, animated way to share Jewish values with children ages 4-7. PJ Library has partnered with BimBam to bring a fun, educational webseries called Shaboom! to life. Each free 10-minute episode is packed with funny and sweet stories that address Jewish themes in an entertaining way. Parents also have access to their own videos, breaking down the concepts and supplementing the episodes. There’s even a Shaboom! app, so you can take it wherever you go. Get started by clicking here. In Miami, PJ Library is a gift of the Greater Miami Jewish Federation made possible by the Harold Grinspoon Foundation and the Blank Family Foundation.